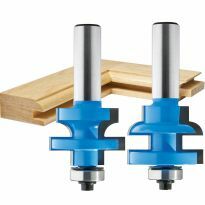 Insert these space balls in your rail and stile grooves to center raised panels in their frames, thereby ensuring flawless frame and panel assemblies. 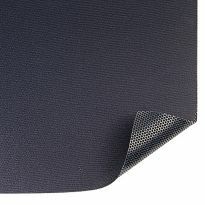 The balls are soft enough to allow expansion and contraction, but firm enough to keep the panel from rattling. 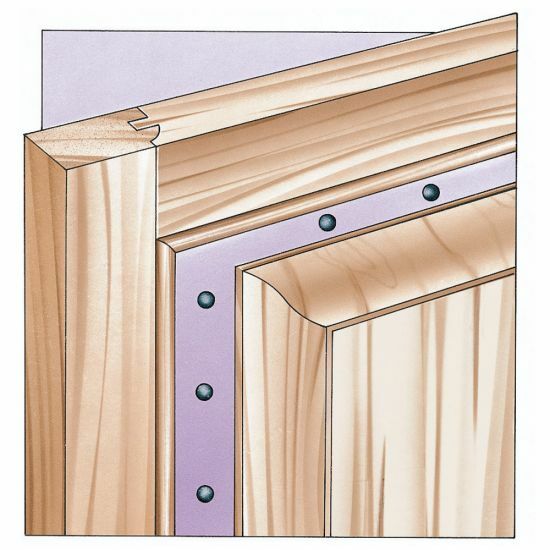 They are also designed to help eliminate cracking glue joints. 8-10 space balls per door recommended. If you are using a curved bottom dado slot this spacing must be increased to a minimum of 7/32'' on all sides. I used them several years ago when working for a cabinetmaker. Never heard of them before that and thought they would be an excellent choice to hold the panels in my shaker style cabinet doors and end panel. Great product. Been using for years. Very happy with them. Seemed to work well. I have used these for years. 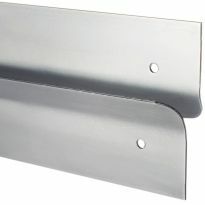 They are indispensable for successful raised panel doors, as they ensure the panels are centered and free of rattles. They work great for keeping your panel centered. can't build a panel door without these.unless you like rattles. These balls are the perfect answer for holding the inner door panel in place with no need for glue. The door can shrink and expand with humidity changes and the balls simply do too. It is important to stain and finish the inner panel before assembly. That way if the door components do indeed move there will not be an unstained edge showing. These are great. I had a slightly different application, for which they were perfect. I had to make some large floor-standing mirrors with frames for a hair salon and used these as cushioning around the 1/4" mirror. I allowed about 3/16 inch space all the way around the inside of the mirror frame- not for expansion of the mirror glass, but for cushioning and centering of the mirror to keep the glass safe. The mirrors also have a full 1/4" thick protective MDF back panel for the same reasons. Now I'm certain they will will withstand LUDICROUS SPEED!! 5 stars all day long for this application, and I'm sure they work just as well for their prescribed use. I use these for my raised panel doors and they work great to keep the panel tight if the panel shrinks. These little balls really came in handy. They spaced the panels really nice. I used the door panel cutters to make large wall panels in a library/ den I'm building. The panels were 18" wide by 60" tall. The space balls worked great. Fit snug, don't fall out during assembly. Keep panel centered. Wish I had known about them sooner. Good product, will be buying more! They are silly but they work perfectly! My rail & stile bits cut a 3/8" deep 1/4" slot, my panels are 1/2" oversized (1/4" each side) and the balls fit just right. The balls are slightly over .250" so they hold their place without effort, no dropping out or shifting during assembly. I just bought two more 100 packs. I have recently made 23 cabinet doors for my shop. Space balls center the panel and keep it from rattling. They accommodate seasonal wood movement. They are super easy to use. Just create a slot of .25 inches and insert. The space balls allowed me to tighten the joint and eliminated the rattle of the panels. Great product. 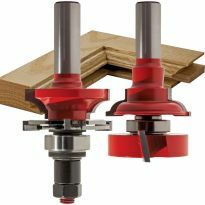 The diameter is just slightly larger than a quarter of an inch which means that when placed into the routed groove to receive the panel, it stays there while all the pieces are put together. i have used these on numerous cabinet doors,i trim the panels 1/8" per side not 5/32" never had a problem!!! 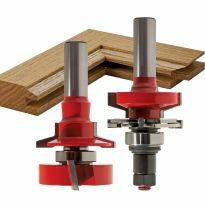 i normally use cutters with atleast 1/2" depth for panels.i read some other reviews before writing this,i will agree with the person that cuts the balls in half & cuts the panels 1/16" as far as the balls being too hard,i dont agree, i can flatten them between my fingers,so buck up..they work great!!! 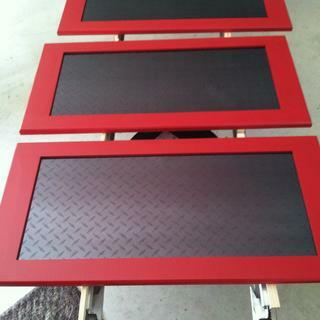 these are the latest doors for a garage project 32" t x 19"w x 20 doors never a complaint!! Picture is a bit odd to look at in the catalog; however, product worked very well. I did leave 1/4" space instead of the advised amount of space and it seems to be perfect. Something so simple, yet so practical. The packaging didn't have a lot of info on spacing requirements, but I found more info at .spaceballs.com Apparently other smaller sizes are available directly if you don't mind buying them by the thousand. These rubber balls fit perfectly in the 1/4&quot; groove of my raised panel doors without rolling around during assembly. Just be sure to dry fit the entire door to make sure they are not too tight. My panels do not rattle when closing the doors. I made 10 doors the first time I used these and had no problem. 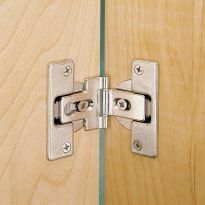 They work perfectly for my kitchen and bathroom cabinet doors. I'm glad I used them. They make the doors feel solid and make my entire project look professional. These work great and when you need them you need them. These ball work great. Use a 5/32" gap - works great. Just size the panel correctly and the rattles will be a thing of the past. I am using these for the first time. I am building a computer desk with raised panel construction. They keep the panel centered and I know the panels will remain that way as they move over time. I am also making raised panel doors which will not rattle. I used space balls on many raised panel projects in the last few years. They keep the panels from rattling and stop the rails and stiles from being pushed apart. I have used this product with great results,I used it in raised panel kitchen drawer front.All Rockler products I use have been great. Works great for 1/4 panels and glass. Wish we had some for 1/8 inch glass and plexiglass. Work great. Made a 7/32 over cut to keep them in compression. They worked just fine. 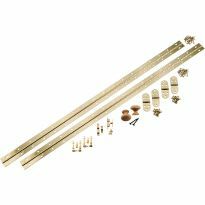 As expected for anything from Rockler. 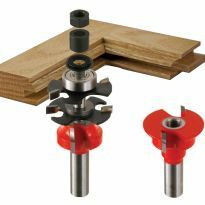 You need more "T-slot" hardware, however, that works with the Bench Dog router table and fence. These little rubber balls do the trick. You do need to leave the space for them, because they don't compress a lot. I made an octagonal tabletop 24" wide. 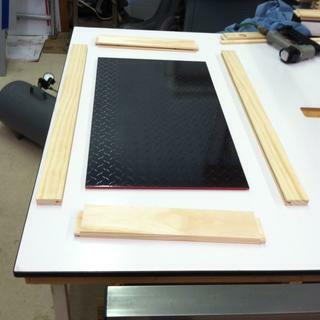 Hopefully thes little rubber balls allow the table panel to expand and contract inside the surrounding frame. Only issue I had was keeping them in place during glue up. I ended up gluing them in position. I am building raised panel kitchen cabinet doors for the second time and thought I would give space balls a try. The last time I just used strings of clear caulking squeezed out onto waxed paper and then cut into short pieces after it dried. That actually worked quite well but using the space balls was much quicker and more convenient. They fit into the rails and stiles just tightly enough not to fall out when assembling and gluing up the doors. The raised panels also seemed to fit more snugly than my previous method. 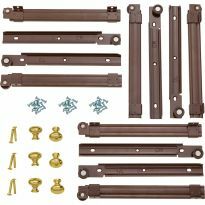 I would highly recommend this item to anyone building raised panel doors. The only slight complaint I would mention is that I would have preferred them to be just a bit softer as they are quite firm. I am using the space balls to build replacement kitchen cabinet doors with arched raised panels to go along with our kitchen remodeling. The principle behind these is a sound one. Based on that, and on actually using them, I can't see why anyone would assemble any raised panel door without them. I usually size my raised panels so that I compress the balls a small amount. Too much compression makes gluing the rails and stile a wee bit tough. But no matter how you do it, these things make the whole process a heckuva lot easier. I used these space balls on a number of panels and they seem to work great at keeping the panel centered. The first time I used them I didn't allow enough room for the balls, they don't compress that far and that easily. So, you just have to be aware that the balls are pretty firm rubber and will not compress that much. However, I wish I could get different grades of firmness. I would have like to have had softer balls in my current application. And no, that's not a joke. They work pretty well but it would be nice if they were smaller, say 1/8" diameter. The large size sometimes limits their usefulness and we usually have to cut them in half. Maybe you could offer two sizes. If you leave 1/8 inch total gap (1/16in per side) and then cut each ball in half before dropping in the slot it will be perfect. You want to keep the door from rattling while leaving room for seasonal expansion, not risk blowing out your hard work. I used a Freud raised panel bit set, and built to their specs. When dry fitting it became obvious that the balls were too big. To help in centering the panel within the framework and to allow for material expansion. Great product to use for keeping panels centered when gluing. I use these on all my panel doors. They keep the panel from rattling. 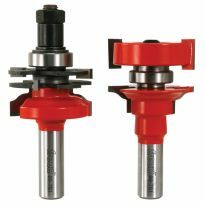 I was introduced to these when I purchased a router set to produce rails and stiles. these work as advertised. simple, but very effective. wish I'd thought of this. Really wanted to try Panel Buddies due to all of the cons I've read about Space Balls (ie Oil bleeding through wood, forcing panels apart due to stiffness, spilling everywhere), but this was all that was offered here, so I guess I'll try them anyway. I just started to make cabinet doors. Sounds like the way to go. wanted to try. see if they keep panels from shifting. To help minimize possible door movement and expansion from humidity. Needed for raised panel doors. Space balls work well with solid panel raised doors to control expansion and contraction due to changing temperature and humidity. They also prevent the panel from becoming glued to the stiles and rails if some glue accidentally leaks into the grooves from the stick and cope joints. I used these before when working in cabinet making and like how they keep panels centered and quiet. Love using them to keep framing tight. Husband Building new kitchen cabinet doors. These are excellent at keeping raised panels from rattling in the frame. I had special glue up needs on a panel side of a cabnet. Used the before and they worked OK for me. Get some rattling with raised panels at times. This product will help to eliminate this. Perfectly centers the panel and allows expansion. These work great in doors to hold the panels. Was running low so bought more. going to be making some raised panel cabinets. Little rubber balls place in rail and stile doors to allow the panel to expand and contract but not rattle around. I made my first set of inlayed cabinet doors. I am making kitchen cabinet doors and ran out. does anyone know if these are safe to use on kitchen cabinets? warning on the back of package says it has cancer causing chemicals. BEST ANSWER: Once they are installed and the frame is put together, they are not being touched or handled in any way directly. Lance is correct. This is an empty, nonsense requirement (in most cases) for almost anything made of plastic and/or an accessory to finishing & building in CA. Basically, they've taken a very legitimate concern and watered it down to the point where the statement is not worth the ink it's printed with (...said ink also causing cancer, by the way). Everything is known to cause cancer in California. I'll be sunscreen even causes cancer. As long as you are outside of CA you are probably just fine. I would say about 3/16ths. I am still trying them out. The panel has to have enough room for expansion when needed. The balls are slightly over 1/4", so a 1/4" groove works fine. If You're going to stain your doors how can you keep the glue from ruining your staining process? BEST ANSWER: The key is to use only just enough glue to avoid excessive squeeze out. This will come with experience. If you do get squeeze out,(and you generally want some to ensure the joint is fully glued ), wipe off the excess glue immediately with a damp rag. You could prestain the parts but this limits any sanding of the joints after assembly.I have heard of some people taping each side of the joint but getting the tape in the corners is not practical. Hope this helps. Elmers makes stainable glue now that works well. After you sand it and stain it you cannot see it. Pre-finish, and tape off your joints if possible. BEST ANSWER: Yes the 5/32" is what is recommended and yes that is on each side. You can go with 1/8" and if it feels too tight just shave a little off the balls with a single edge razor blade. I sometimes make a test panel out of cheap 1/4" veneer I've got extra of to check my fit first. I found either should work, but make sure you do Adrian assembly first. It can depend on moisture content of the lumber. Tighter fit if wood is moist, because the lumber should shrink. The opposite if the lumber is dry. Make it tight to start, and adjust as necessary. I only subtracted half (1/8 in). This made the panel a little tight but kept it from any rattle. what the type of synthetic rubber is the space ball?